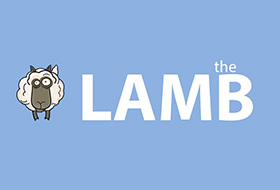 2013 LAMMY for Best Blog Design! Hey there, knowing that Jason won’t be posting a netflix game today I thought I’d sneak in and do a post I have had lying in my mind for a week or so. Once more, Kai puts on his Alex Trebek hat to play host for our version of Jeopardy. Back in the champ chair is Dylan, this time challenged by Fogs and Joanna. Did they take his title? Listen and find out! For those who still haven’t heard enough about Prometheus, or perhaps are just dying to hear what us folks at the LAMBcast have to say, we present you with our episode dedicated to Ridley Scott’s Alien quasi-prequel. Your host Dylan is joined by Nick, Fogs, Sebastian and first-time LAMBcaster Iba of i luv cinema, making her podcast debut (and excellently so, I might add).